Halloween is right around the corner! In our house we like to get ready extra early, and to really squeeze as much fun as we can out of the season. My kids love Halloween as much as I do! Fall can be a kind of hectic time of year, though, and getting organized for Halloween is often at the back of Moms’ minds. This year I thought I would share a few of my favorite hacks for the Halloween season– hopefully they’ll inspire you and make your celebrations extra festive! But first, allow me to share my biggest face palm Mom Fail moment from last Halloween. First of all: my kids got LICE the day before Halloween from school. Yep. So Halloween proper we spent the entire day in a lice-removal salon. We rushed home to get the kids’ costumes on, headed out, and Yours Truly didn’t make sure that my two little dragons had eaten something before we headed out. I figured we would Trick-Or-Treat and then eat after. Well those kids just kept poppin’ candy as they gathered it, and forty five minutes in to the evening my kids were in a full blown sugar meltdown. Then they wouldn’t eat dinner, AND they wouldn’t sleep. Best night ever! LOL. Take it from me, and take my advice for my very first Mom Hack I’ll share with you: feed your kids a simple & delicious meal before you head out on Halloween! My go-to for delicious mealtime simplicity is Red Baron Pizza. Avoid a sugar meltdown: feed your kids a simple and delicious meal before you head out for trick-or-treating on Halloween. 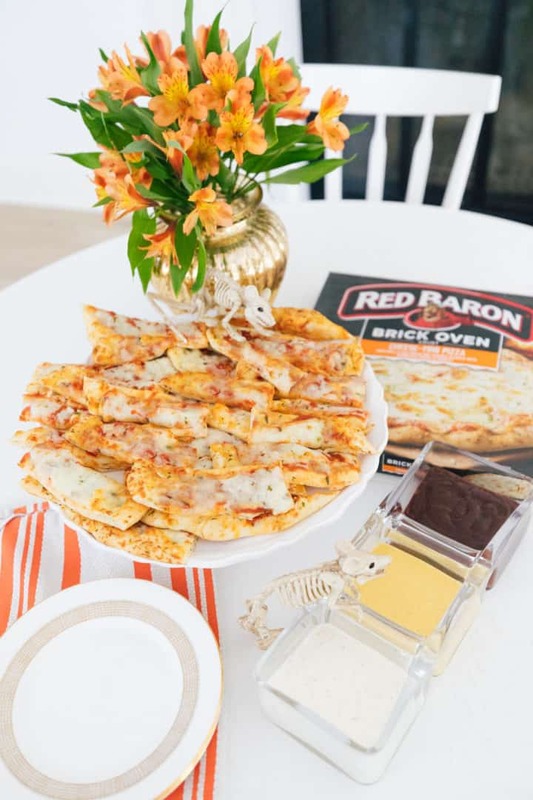 My go-to for delicious mealtime simplicity is Red Baron Pizza. I like to slice it with a pizza wheel in to strips, and then I serve it with a trio of dipping sauces: Ranch, Honey Mustard, and Barbecue Sauce. Add a couple of spooky figurines to the plate and you have the perfect Halloween party snack! Another fun Halloween hack is to make clementine pumpkins! It’s such a simple and cute snack idea, and it can be the perfect, festive addition to a child’s lunch box! Simply peel the clementine or orange, cut a small piece of celery, and insert it in to the top of the fruit to create your pumpkin. I love serving these as a healthy treat at Halloween parties as well. 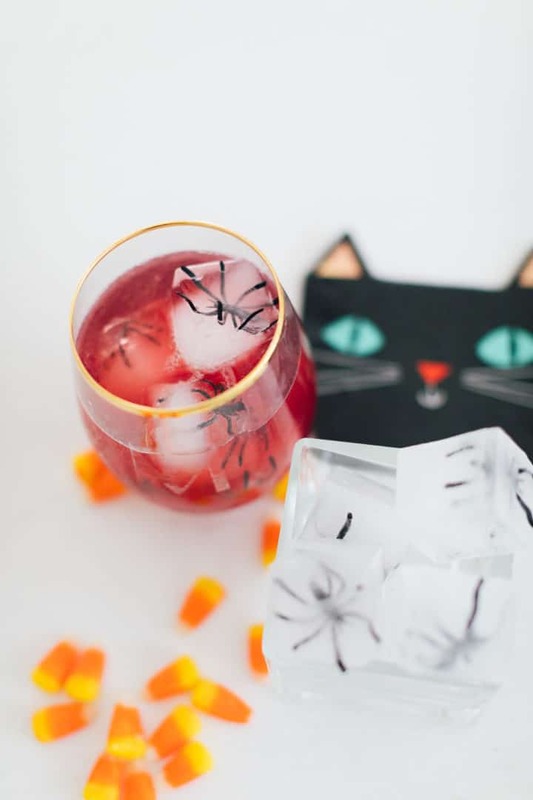 Spruce up kids drinks or cocktails with fun and festive ice cubes! I always take an ice cube tray, pop some plastic spiders in to each cube, fill with water, and then freeze. Add grape juice or sparkling water for a kid-friendly refresher. Are you a passionate gamer? Then why not make a dedicated space in your home where you can enjoy playing all of your favourite games? When setting up your gaming room, you will want to achieve a combination of technological assortments and comfort. Here, we are taking you through how you can set up your perfect gamer’s room. One of the things that make your gaming experience so great and immersive is the sound. If you don’t have good speakers, this can spoil your gaming experience. There are many different and fantastic speaker systems available that you can buy and many now offer cool feature such as wireless connectivity. As a gamer, you will most likely be spending hours on end in front of your screen enjoying fantastic games. This is why a gaming chair is vital to have in your gaming room setup! A great gaming chair will ensure that you prevent health problems that can occur from sitting down for hours such as back pain, eye strain and neck aches. It will also provide the ultimate luxury comfort and take your gaming experience to the next level. You can find reviews for all the very best gaming chairs at websites such as bestgamingchair.com who go into detail about each product to help you make an informed decision. When you are enjoying playing your favourite games, you will want to have the sound cranked high to give you that immersive experience. However, it is important that you consider your neighbours and other people in your home and so sound proofing your home is a must. This will also help to improve the sound quality in your gaming room. No one wants to be gaming on a small screen, and really the bigger the better when it comes to the size of your screen. When choosing a screen, it is also important that you choose one that has enough connectivity options so you can pair it better with speakers, consoles and more. Another cool option to consider is getting a projector! A projector will allow you to change the size of the screen, which is an option you won’t have with a standard television screen. This is one that you may not have considered before, but is crucial to create the perfect gaming set up- lighting! Your gaming space should not be overly lit up, but it will still need to be functional and stylish. 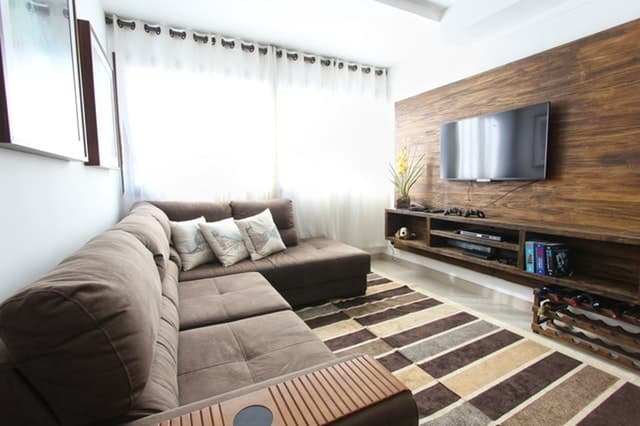 If you are going with the television screen option, make sure you don’t place a light on the opposite wall to the television as this will impact the screen quality, or if you go with the projector option, you will want to have the room completely dark for maximum impact. A good games room is bound to have lots of wires from all the cool technology. This can be a safety hazard, however, and so it is important that you cover all the wires underneath carpet and behind shelves and keep them tied together to ensure they do not spoil the look of your room. The innate drive I have as a parent to teach, influence, and leave a legacy for my children was unexpected. It was sparked at the hospital when they were born and hasn’t stopped since then. While I was growing up, I wasn’t taught much about money, investing, business, and entrepreneurship. I had to learn a lot of painful lessons. I have been fortunate to establish a financial system from which my kids are already benefiting. My system runs contrary to the traditional financial system parents and grandparents used to save for their kids’ future in many ways. But the only way to get uncommon results is through uncommon means. This is my system for establishing for your child’s future. The 529 plan, also called a qualified tuition plan, is a tax-advantaged savings plan designed to encourage saving for future college costs. These plans are very popular and have become a sacred cow, even though they have only been around since 1996. When my two girls were born, my dad was insistent on contributing to a 529 plan for college. At the time, I was barely into my first job out of college and hadn’t learned what I teach now, so I decided to open one up. Today, millions of people have them, and your kids and grandkids are attached to them. In my experience, saying no to a 529 plan is like telling a mother her baby is ugly. I don’t want to say what you’re doing is bad. 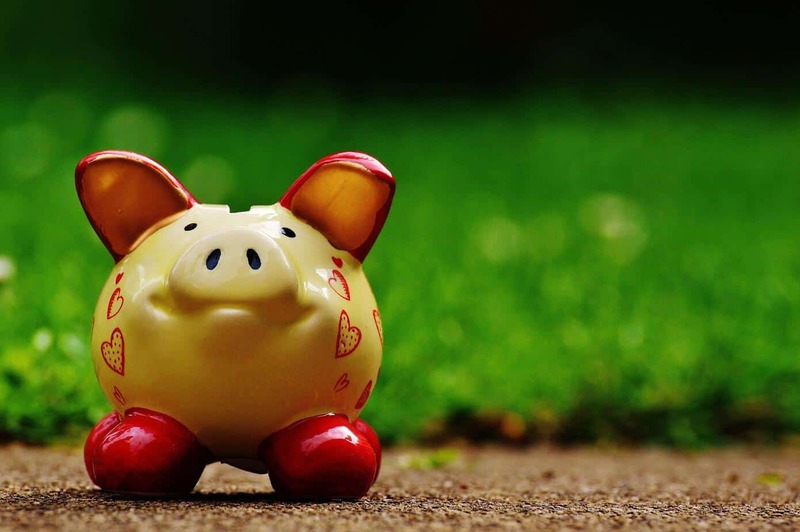 You’re planning for your child or grandchild’s financial well-being, which is commendable. But if you look at the nature of a 529 plan, it’s not set up for your best interests or the best interests of the child or grandchild. It’s pitched to you as a benefit, but it’s just another way for Wall Street to sell you mutual funds and make money off your desire to do well by your kids. 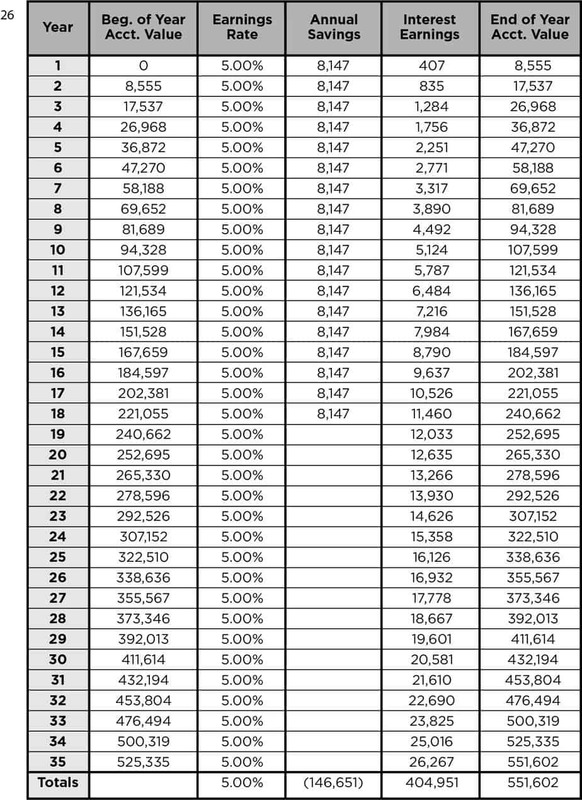 The objective of the 529 plan is to put money away and pay for future college expenses while getting a tax benefit for doing so. The catch is, if the money is not used for college or some other qualified higher education expense, you have to pay penalties for withdrawing it. What if you don’t need the account anymore—your kid decides to skip college, for instance—and you want to use that money for something else? Is the penalty you pay on the 529 plan worth it from the beginning? Additionally, the burden on families to completely fund college has an opportunity cost that is difficult to quantify. Because of that, the financial future of the family may be put in jeopardy. I have seen it bankrupt a few. Here’s an example of what I mean. Assume your child is five years old and you have committed to taking care of their educational costs for a four-year degree. Right now, the average annual cost to attend a public university is $25,000, rising by 5 percent a year. That means that by the time a five-year-old today is 18 and ready to go to college, tuition would be almost $50,000. 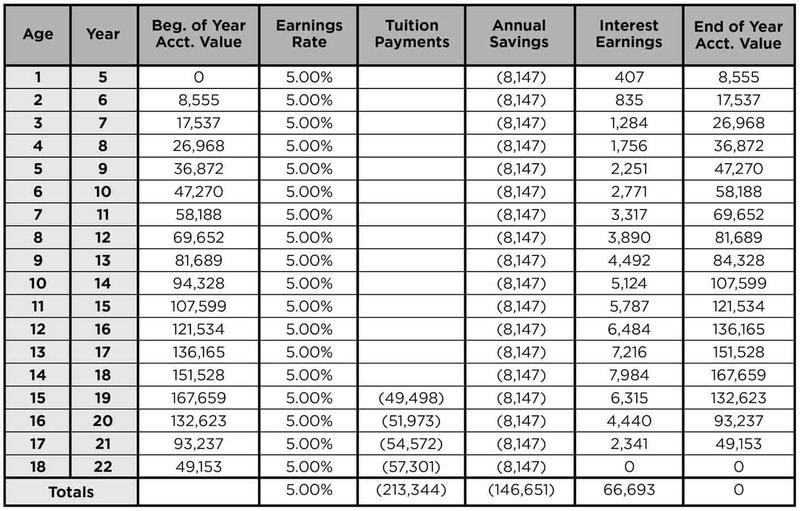 Over four years, factoring in tuition rises, that comes to a total cost of $213,344. 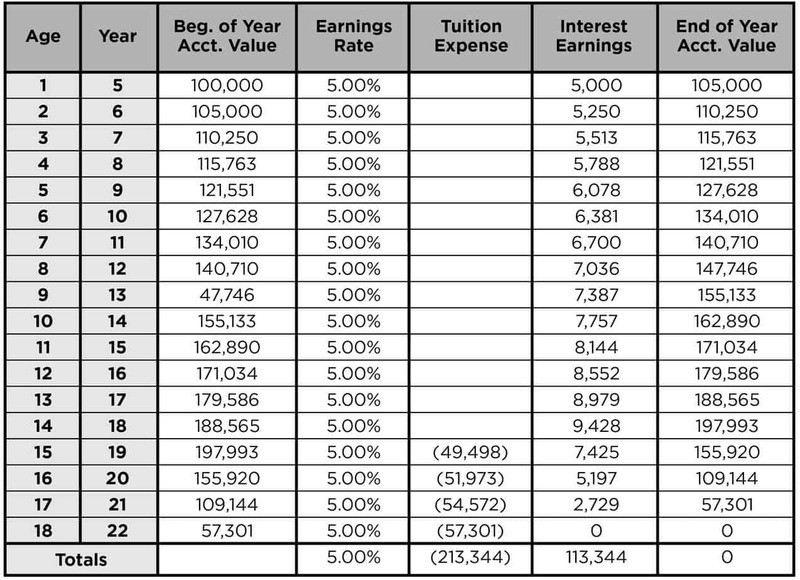 For a 529 account to pay out that much when it’s needed, it has to start with $100,000 and earn a net 5 percent every year through graduation. Or, you could just save $8,147 a year for 18 years. To really drive this point home, the opportunity cost for the family during their later years is really where the price is paid. 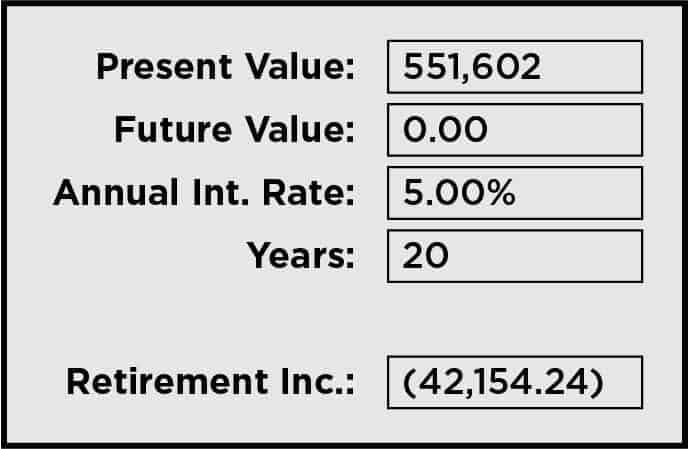 If you saved $8,147 a year for 18 years and then let it grow past that point until your future retirement, your balance at the end of 35 years would be $551,602. If you spent that down through a 20-year retirement, the cash flow would be $42,154.24 per year, for a total lost opportunity cost of: $843,084.80. The opportunity cost that comes with following the typical college path doesn’t simply disappear if funded through a WMA—it only gives you more options. You’re trying to prepare for something in the future that may not happen the way you think or may not happen at all. Consider the opportunity cost of that money—what that money could do between now and the time your child goes to college. When I learned about what I do today, I cancelled the 529 plans I had and opened Wealth Maximization Accounts on each of my kids. Today, I have multiple policies for each of them. However, the idea isn’t simply to treat these as 529 comparisons. The money inside a WMA can be used now, without any restrictions. In my experience, that has been a most powerful tool to teach kids, including my own, about money. Instead of saying no to things they want, I can say yes. The money is borrowed against their policies, however, so it becomes their responsibility to pay it back. We call it our family bank. For example, my daughter Meghan has used her policies to buy numerous types of electronics and a $400 gymnastics mat, amounting to thousands of dollars cumulatively. She had to create a payback plan before she was given the money. She felt she could earn enough for the payments by increasing the amount of babysitting she did in the neighborhood. 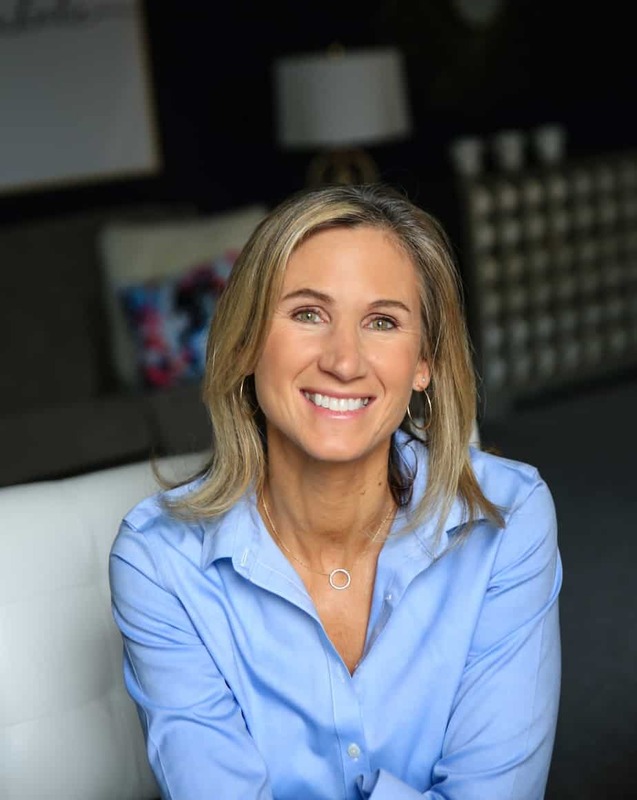 She also researched ways to earn bigger tips by giving better service, such as making little videos of the kids, making sure the house was cleaner than when the parents left, and leaving a handwritten note. This experience has given Meghan an appreciation for where money comes from, what a loan is, and what interest is—both the interest you pay and the interest you earn. I know that will benefit her in the future. Wealth Maximization Accounts for your kids are the ideal way to teach them about money and also to prepare for their future purchases, such as a car, college, and beyond. Properly structured plans are a superior alternative to a 529 college savings plan. For more resources take a look at Paradigm Life. In the years that my children were in grade school, I enjoyed getting to know the support people in their buildings – the custodial staff, the secretaries, the para-professionals – and it never ceased to amaze me how the two latter groups consisted, in large part, of former lawyers, accountants, and business executives. Similarly, many of the women stacking shelves at our local Gap store and manning the counter at the spin and barre studios were former accomplished professionals, too. The pull of a low-stress job and a school-hours or flexible schedule must be strong, I used to assume. True, working the same hours as your children is convenient, and having a job that you don’t ‘take home’ with you at night and over weekends, has its advantages. However, I learned through two decades of coaching and placing these women that it wasn’t the schedule or the workload that drew them to these positions. It was the safety. Most of the aspiring women-returners I’ve met in the last 20+ years arrived at my office already defeated. When, after having a child, they were faced with the “all or nothing” choice to work 60 hours a week, or quit and stay home, they chose the latter, leaving behind careers that they loved and becoming part of the female brain drain that plagued (and still plagues) the U.S. Then, when they’re ready to opt back into the workplace, résumé gaps and related biases have made it difficult for these women to land. 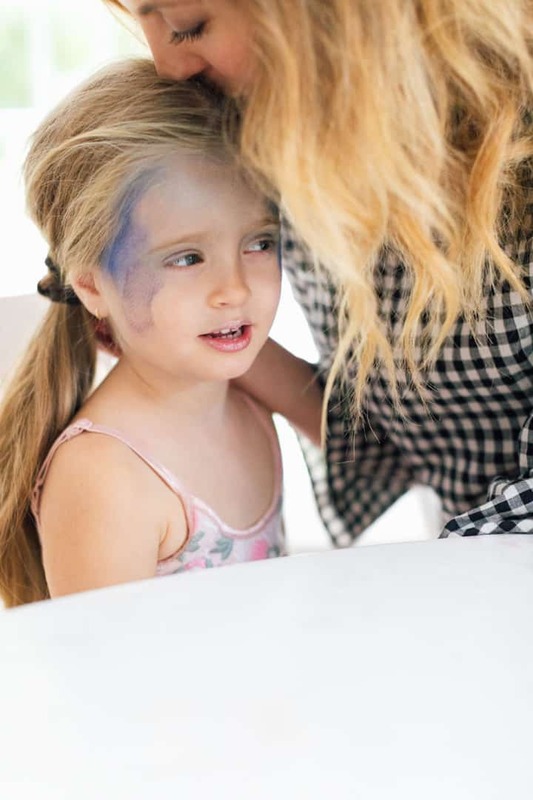 By the time they come to me – a kindred spirit, having been one of them myself – they are discouraged and fully expect rejection as ‘punishment’ for taking years off to raise their children. Which, of course, is ludicrous, and I get right to work helping them erase that narrative from their heads. But in the heads of the ones who don’t come to me, that narrative is on a continuous loop. Many of them are now helping our kids in the classroom and signing us in to spin class because they settled for ‘safer’ jobs. A 2015 Women in the Workplace study conducted by LeanIn.Org and management consulting firm McKinsey found that 43% of leadership-track women derail themselves for child rearing at some point; 90% of them with the intention of returning. These women should be assuming leadership roles, growing companies’ bottom lines, and changing workplace culture, yet many are stuck. They don’t know how to properly prepare for their career re-launches and they get quickly discouraged by early rejections. Women-returners are unquestionably employable. Employers my partners and I polled consider them the best hiring demographic. I’ve personally witnessed hundreds – probably over 1,000 – of them find fulfilling work in my small corner of the world (Connecticut). 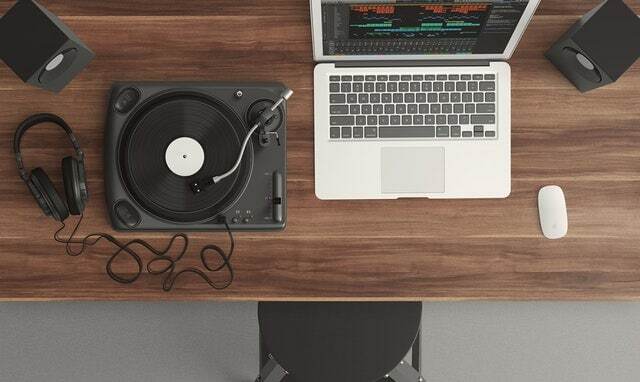 5 – flexibility and the willingness to consider unconventional offerings like temporary projects or low-paying internships as a way to get a foot in the door. The economy is improving. The labor market is tight. The voluntary quit rate is at a 17-year high. Employers are competing to hire good people. And, these days, you don’t have to be perfect to be ‘good people’. 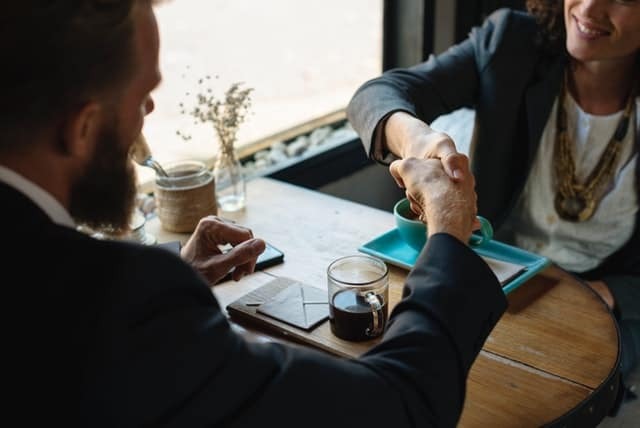 Your gapped résumé, your ‘not entirely perfect’ experience, your application that meets only 60% of the job criteria, are all plenty good enough now. So, if you are wistful for more challenge (and money) than your current job can provide; if you want to get back on the corporate track, but are playing it safe working for minimum wage; listen up. Your time at home was valuable; its impact will be long-lasting, but you have an opportunity now to take advantage of favorable economic timing and get back to the work that you really want to do. Go for it.